rater8 enhances patient satisfaction, grows online doctor reviews and ratings, and increases practice profitability. Take control of your online reputation. 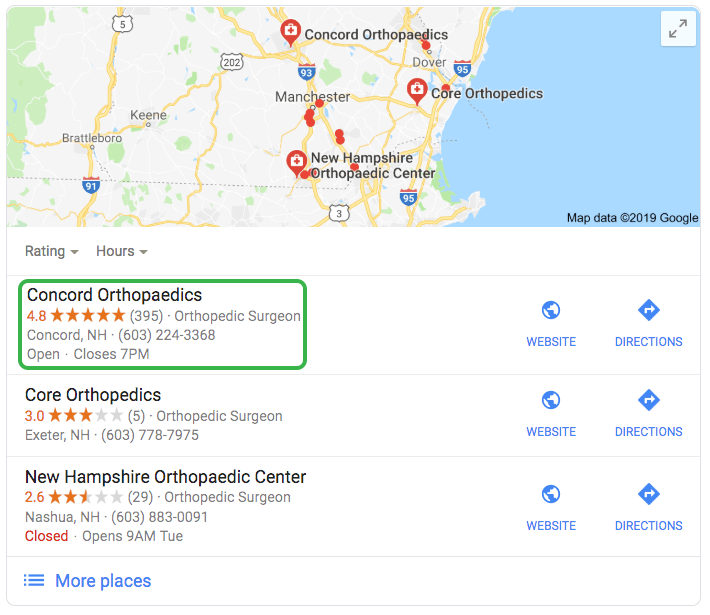 Build 5-star online reviews across the leading review platforms (Google, Healthgrades, Vitals, Facebook, Yelp, & WebMD) to attract more patients. Also mitigate 1-star reviews from tarnishing your online image. Use our analytics dashboard to accurately measure the performance of your patient-facing employees. Identify star performers and their key competencies, and address employees in need of additional training. More patients are searching for physicians online. 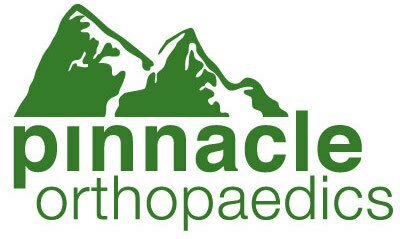 Our Verified Review Pages and Ratings Badges will instill confidence in prospective patients. We’ll enhance your online image to make you stand out from the competition. 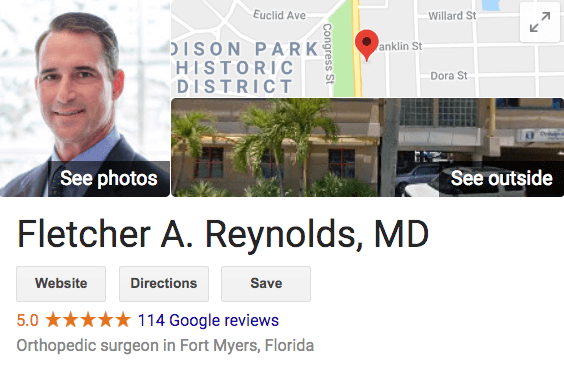 rater8 optimized Dr. Reynolds’ Google My Business profile and helped him grow 114 five-star reviews. Thousands of prospective patients now see his online profile when researching healthcare providers, giving him an edge over the local competition. rater8 will enhance your online image to outshine the local competition in Google Search. Imagine you were in need of a new surgeon. Of the three practices to the right, who would you choose?